The train operating company, Northern, is committed to making their services as accessible and easy to use as possible, and the leaflet below explains what they do to assist older and disabled passengers who travel with them. 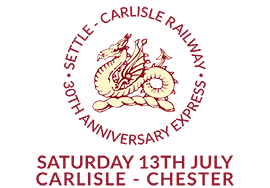 You will find all you need to know about how to book assistance for your journey on the Leeds-Settle-Carlisle line. Northern has created a step free access map to aid independent travel and journey planning, which you can download here. You can also visit Northern’s website to find out more about their Accessibility policy.